Brittany's Book Rambles: Owlcrate July 2017 Unboxing! I hope you guys enjoy my unboxing of the July 2017 Owlcrate box! Owlcrate is one of my favorite bookish subscription boxes; I love all of their exclusive content and they always have the best books! Learn more about Owlcrate and subscribe to their service! Use the promo code: BRITTANY and get 15% off your first Owlcrate box! How awesome is that?! Thank you so much to the people of Owlcrate for sending me this review box! 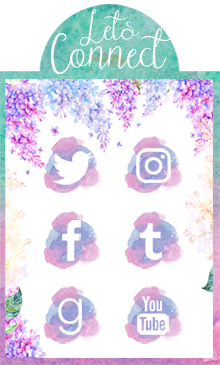 Are you guys subscribed to Owlcrate? What do you think the August book is? Are you subscribed to other bookish boxes? Which ones? Let me know! I get that, you want a box that has a book you will love plus things to go with it! OwlCrate always has great books and great stuff. I love all of their exclusive items. I've heard of both Lit-Cube and Uppercase YA, I'm glad to hear that you liked them! ooh so many fun goodies you received here!! I have thought about subscribing to a bookish box...just haven't decided which one I would like the most. Right? I love everything that came in this box! 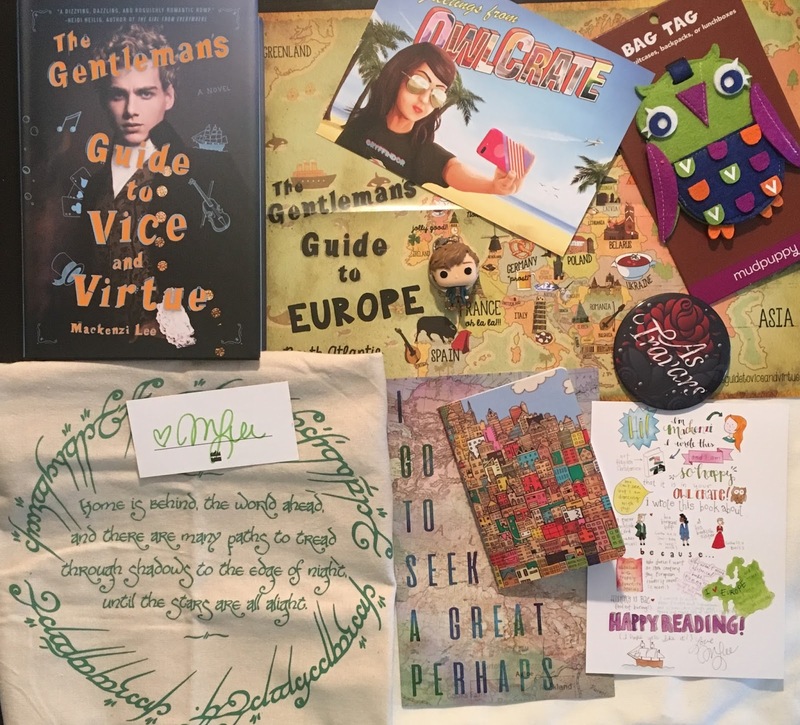 You should definitely try OwlCrate, you won't regret it! Owlcrate looks so awesome! And I've heard good things about this one. Their extras look great. I LOVE that Lord of the Rings drawstring bag! And the art map for the book is cool as well. It's really awesome! Believe all the good things because they're true. All of the items in these boxes are amazing. I love how many different fandom things they include. Oh wow, those are all so beautiful. I have been meaning to get one of these for like forever I might get their next box now. Aren't they? This was an amazing box! I hope you do get their next book, I'm sure it's going to be amazing. I wish I had the money to do these, it seems like so much fun! I've been hearing so much about that book. I'll have to check it out. I get that but at least this time you could have a discount of 15%! So definitely check it out. I'm glad you're enjoying FairyLoot, and I hope you give OwlCrate a try because it's amazing. They always have great items and exclusive content. Owlcrate looks so amazing! *_* I really want to subscribe to a book subscription box one day (when I have a job haha!) as they look so lovely. 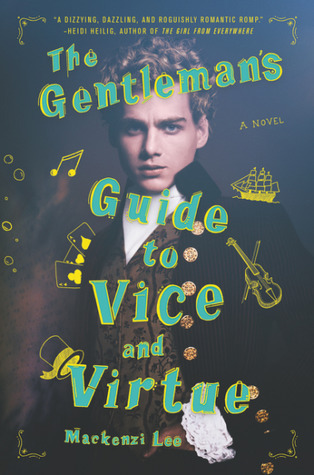 I've heard great things about The Gentleman's Guide to Vice and Virtue so I hope you enjoy it! Right? You can never go wrong with their boxes. I hope you give OwlCrate a try! And I'm sure I will, everyone I know loves this book. I'm sorry for the expensive shipping! But if you ever can try one out, make sure it's OwlCrate because you can never go wrong with one of their boxes. I LOVED this book so much! Diversity and all of the characters were A+ in my opinion! The cover is gorgeous, too. I've never subscribed to a bookish subscription box but it is certainly tempting! I always see OwlCrate as one of the most popular ones, and I LOVE the clue for the August box! 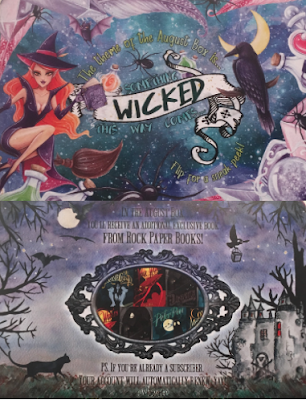 I am ALL ABOUT anything witch-y, so I'm excited to see what they include in the box!